The room was filled with 600 attendees ages 7-18 years old, along with parents, and educators. The stage was set with a fake campfire because the event organizers believe that the best stories and creative ideas are shared around a campfire, which is why this years event theme was campfire stories! The event boasted an inspiring line-up of inspirational young speakers and performers who shared their individuality, talent, and creativity. My daughters and I were captivated the entire time. The event was interactive, entertaining and educational. In addition to the guest speakers there were also interactive workshops for the attendees to explore. The speakers engaged the audience with various topics which included design, business, physical activity, creativity and more! The performers sang, and danced, and also included a world champion Yo-yoer! Yo-yoing immediately caught our attention, as well as the rest of the audience I’m sure. We could not believe that someone could do so many incredible tricks with a yo-yo! During our lunch break, the girls and I sat and discussed which speakers were their favorites. My eldest daughters favorite speaker was Ashley Wiles. Ashley Wiles is the founder of Sole Girls. Sole Girls is a running program for tween girls which empowers girls through physical activity. Ashley is an advocate for mental health. Having struggled with her own anxiety and body image issues as a teen girl, she feels compelled to inspire our generation of tween girls to feel good mentally, through running, because as she mentioned in her talk, “running saved her life” Ashley found running as an outlet to help with her anxiety and continues to run in marathons, including Iron man as she continues on her life journey towards positive mental health. We have had the great pleasure of getting to know Ashley over the past year and my girls have taken part in her Sole Girls empowerment/running program. Ashley’s program is designed for tween girls to gain confidence, set goals, and increase their physical activity in a non competitive environment. Ashley invited my girls to join her on stage at the event to energize the audience. They were more than happy to join their mentors on stage, and boy did they get us moving. Ashley is enthusiastic, energetic, positive and genuine. She is a mentor and a true leader in our community. Her talk inspired the audience to live their best life, by striving to be your best self, through physical activity. One of our daughters other favourite inspirational guests was, world competitive Yo-yoer Harrison Lee. In addition to Harrison captivating the audience with his amazing yo-yoing talent, he also shared his story of finding his passion, a place to belong and an outlet for self-expression. He shared his experiences competing internationally, and was most proud to share how many friends he`s made on his yo-yoing journey. Harrison is one incredibly talented youth, and his message was really about passion. Although Harrison spoke to us about passion, we didn`t need to hear this inspiration through his words. His passion was felt during his yo-yoing performance, and we were definitely inspired by his actions. Harrison holds the title of Canadian National Freestyle Champion. We loved Harrison! One of my favorite speakers was Aanikh Kler, his talk was about social entrepreneurship. Aanikh is now 16 years old, however at the age of 13 he ventured on his first social entrepreneurship journey. He designed UndrTheRadrRingtones and at the age of fifteen he was the first ever entrepreneur to make a deal on CBC`s Dragons Den! UndrTheRadrRingtones is a ringtone App for iPhone and android devices that gives a ringtone that only people under the age of 21 years old can hear. Here`s where Aanikhs social entrepreneurship comes into effect. For every 99 cent ringtone downloaded, UndrTheradr donates 20 cents to Free-the Children. Aanikh has become one of the youngest App developers to ever reach number 2 paid app on the Itunes store! Aanikhs message was my favorite not only because of his outstanding achievements at such a young age. As well, it’s his passionate message to foster change in the world through business, that truly inspires me. Aanikh is a true inspiration and continues to raise awareness on social entrepreneurship. The speakers that I’ve highlighted are only a small part of the amazing, inspiring, talented people that motivated, influenced and encouraged us to use our lives to be the change in the world. 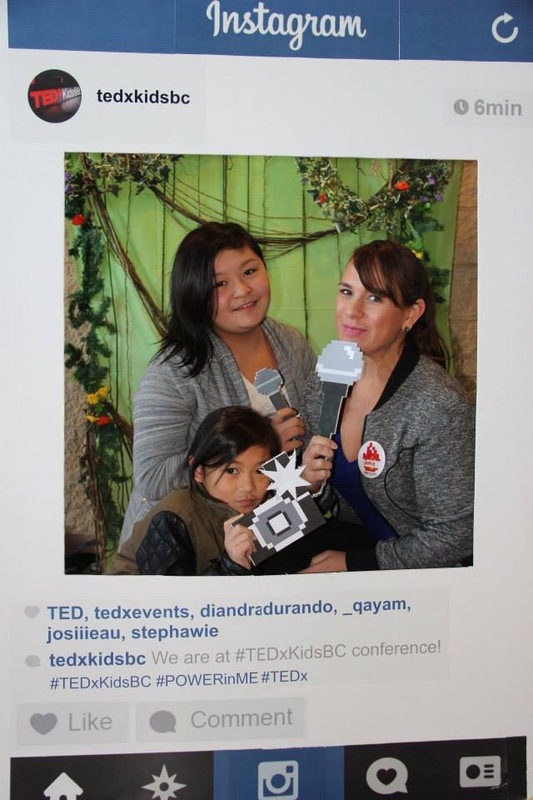 I am so happy that my girls and I had the opportunity to go to the Tedxkidsbc event. I know that we all left feeling a warmth of inspiration from everyone’s campfire stories. 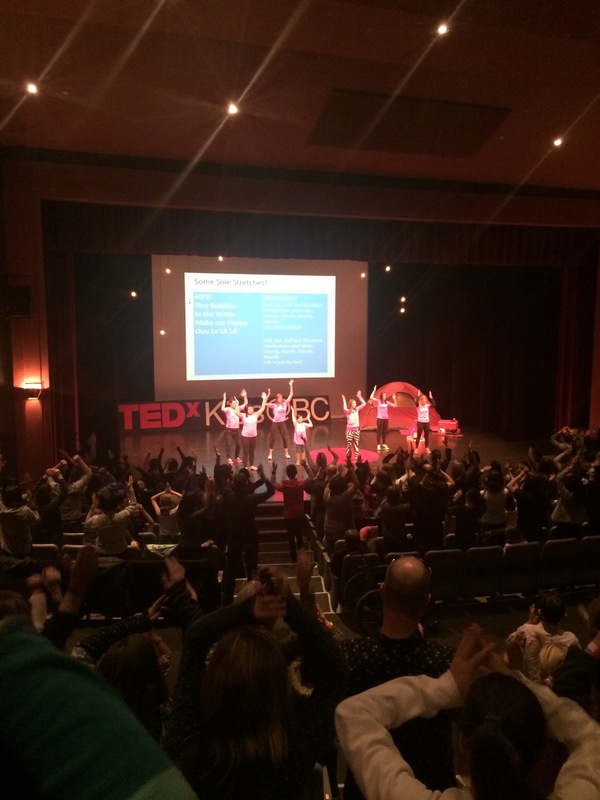 Be sure to follow Tedxkidsbc on Instagram! Hi Taslim! Yes, bring your daughter. Perhaps we can go together!